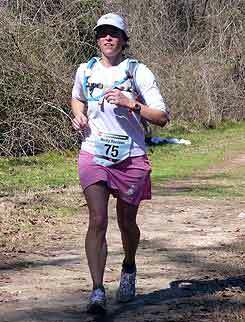 Ultra running mom Tara Tosta posted a race report in her blog check it out here. What will you do different to prepare for your next ultra? I think nutrition is the biggest thing I need to work on. I probably need to train harder but dang not sure how to find the time for that. Oh and will definitely try not to herniate a disc in my back before the next one. How many miles did you say you ran during your ultra before the pain went away? The back stopped hurting around mile 60 or so. Did you end up taking anything for the pain during your race? I took Tylenol for it not sure how much that helped or didn't but it made me think it would help. How is your back feeling now? My back is actually feeling moderately better now. It is still off but not anywhere near as painful as it was going into the race. So all you have to do is run about 60 miles if you want to get rid of herniated disc pain, who knew. I told my doc that and she said she probably couldn't give that out as advice, oh well, just trying to help (smile). 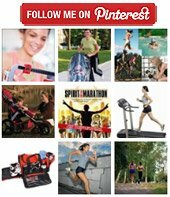 Do you have another 100 mile planned? I have a 24 hour race in July. I really hope to hit 100+ miles at that. I have to work on nutrition and some sort of caffeine plan for the night. Nahhhh, don't think many of them care all that much. I am still Tara. I read in your blog that you have all these shoes labeled A-G. Why do you think it’s important to alternate between so many different pairs of running shoes? I usually am only alternating between 2-3 pairs but I always have a new pair on the way into rotation as an old pair is on its way out. So although I am on pair G right now that is over the last almost two years now and three or so of those pairs have been recycled. But I do like to rotate. I don't wear the same pair in the morning and evening runs and if I can help it the next morning I'll wear a third pair. I was told it takes about 24 hours for your shoe to recover from a long run and of course if I get them wet or muddy I like for them to dry out before my next run. So I rotate so my shoes are the best they can be. What do you do when you're done with your running shoes? Donate them at the local running store. I read this quote in our mutual friend Marny's blog, "You don't know who you are until you've run 100 miles." What have you learned about yourself running 100 miles? I think what I learned is twofold: I have limits and I can push beyond them if I really want something. And now the question that everyone has been asking me. Why do you do it? I love to run, I love a challenge, I love to find my limits. It was an absolutely amazing experience. I can't wait to get out there and try to do better. 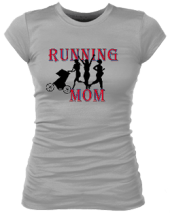 You will be hearing more about ultra running mom Tara, so stay tuned!